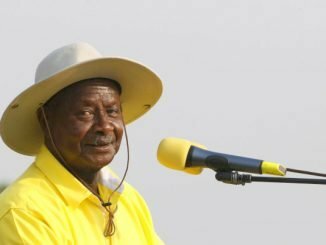 President Yoweri Museveni on Thursday afternoon confirmed that government will provide 350 billion Shillings for spraying houses across the country to fight Malaria. The president made the statement while launching the Uganda Parliamentary Forum on Malaria (UPFM) at Parliament Buildings. The launch was attended by the Deputy Speaker of Parliament Jacob Oulanyah, donors, Ministers, legislators and district Local Council chairpersons among others. Museveni’s offer came after the Health Minister Ruth Aceng said that the indoor residual spraying strategy is expensive and needs to be implemented in two cycles to have an impact. Aceng said that her ministry estimates the spraying of the entire country in one cycle to cost 350 billion Shillings but due to absence of money in a lumpsum, the spraying cannot be done. This statement by Aceng followed Museveni’s inquiry into activities being carried out by the ministry to eradicate malaria in the country. “Malaria is preventable and there are methods which are not controversial but they are not fully done. Why can we not fully do these things that are not controversial like indoor residual spraying, why?” asked Museveni. He attributed the failure to eradicate malaria to laziness within the Health ministry. With Aceng’s explanation, Museveni noted that the 350 billion shillings for spraying houses country wide was not much money to spend since the country spends a lot to fight Malaria annually. He said that the country needs to focus on eliminating malaria rather than working towards its reduction. 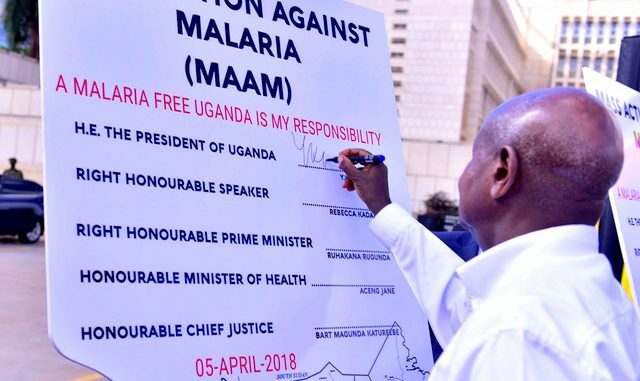 Museveni further appealed to the Uganda Parliamentary Forum on Malaria (UPFM), chaired by Jinja West MP Moses Balyeku, to focus on the debate on methods that can be used to eliminate malaria. “If we focus really and calculate the benefits, we can eradicate malaria. Interrogate the scientists more and see how we can really eradicate it. I hope you are here to dispel ignorance among yourselves because if you give people wrong information, they will die,” he told MPs. 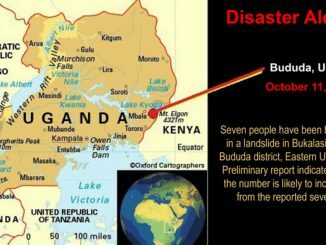 According to the Health ministry, 15 people in Uganda die every day because of malaria with pregnant women and babies being the most vulnerable. Minister Aceng says that malaria prevalence has reduced from 42 percent in 2009 to 19 percent in 2014. She says that 500 billion shillings is spent annually in the management of malaria and that 30,000 Shillings is spent by a household on a single episode of malaria. 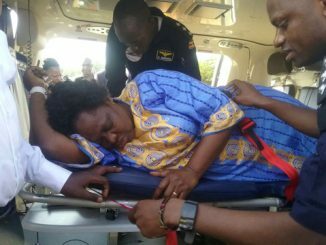 She further said that in 2017 alone, 400 billion shillings has been spent on the purchase of mosquito nets, indoor spraying and purchase of fancidar to prevent malaria among pregnant mothers. Deputy Speaker Jacob Oulanyah also called for the war on malaria to be geared towards the mosquito rather than treatment. He said that the number of lives the country loses as a result of the tiny mosquitoes is enormous. According to Balyeku, the Uganda Parliamentary Forum on Malaria (UPFM) is to provide visibility and leadership and ensure that funds allocated towards the fight against malaria trickle down to all constituencies in the country.